Years ago, when I was a full-time vegetarian living in the South before vegetarianism was an accepted thing, I got accustomed to ordering the vegetable plate when going out to dinner. At many diners and home-style restaurants, the vegetable plate is usually a plate of three or four sides, often accompanied by a roll, biscuit or piece of cornbread. It was offered because no one knew how to do vegetarian entrees back then, at least not in non-ethnic restaurants in the South. It can seem onerous to the home cook to make four side dishes for a weeknight meal. The idea behind the home-based vegetable plate is to cook one or two dishes a day that will keep well and can either be reheated or served cold. As the week goes on, the options for the vegetable plate increase. I also try to prep and pre-cook plain vegetables ahead of time so I can quickly assemble a full plate when I’m ready to eat. Salads of all descriptions are a natural choice for the vegetable plate, especially non-green salads. Homemade salad dressings usually keep for a week or more in the refrigerator, and can be used to quickly assemble a salad from any pre-cut or grated vegetables on hand. Surprisingly, cooked greens like spinach and kale make a great cold salad when dressed with some lemon juice or vinegar. Roasted and grilled vegetables reheat well or make tasty ingredients for cold salads. If you’re firing up the grill or preheating the oven anyway, throw on more cut-up veggies than you think you can possibly eat. Gratins also reheat well, and a little cheese makes everything taste better. Vegetable soups are another option. Of course, they must go in a bowl instead of on the plate, but they are easy to make ahead in quantity and often taste even better reheated. Combining a vegetable soup with a salad or two makes a very satisfying meal. It’s usually nice to have some crusty French or sourdough bread in the house to accompany the vegetable plate. I also plan to experiment more with incorporating whole grains into my made-ahead options, such as farro or wheat berries. Pasta salad is a natural addition, but I am trying to reduce my pasta consumption these days in favor of whole grains. Since I started doing this, I feel like I am eating better and taking more advantage of seasonal vegetables as they appear in the markets. I don’t feel like I am cooking that much more, but it seems like I am throwing out spoiled vegetables far less often, because I am eating a little bit at every meal, rather than trying to use it all up on one meal. It’s also fun to try different vegetables and different ways of preparing them. You don’t have to be a vegetarian to enjoy the vegetable plate. I think it’s making a comeback. Iceberg Lettuce: Love It or Hate It? In the 1940s, iceberg lettuce was the only variety bred to survive cross-country shipping, which is why it became ubiquitous in American salad bowls. Its name came from the piles of ice it was packed in for shipping. 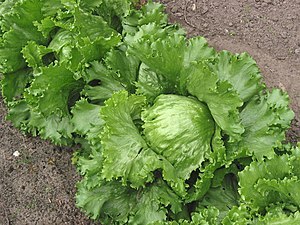 Now, with so many kinds of salad greens available, iceberg remains popular on restaurant menus. I can’t stand the stuff, unless it’s slathered with blue cheese dressing. My husband, however, prefers tasteless iceberg over any lettuce that has a modicum of flavor, although he will eat romaine if he has to. What’s your go-to salad green? Read: Tip of the Iceberg: Our Love-Hate Relationship With the Nation’s Blandest Vegetable | Food & Think. In both cases, I prepared the potatoes nearly the same way. I boiled the potatoes to cook them. The Yukon Golds were peeled and cut into large chunks for boiling. 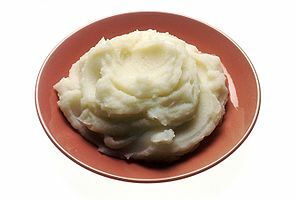 I boiled the russets whole in their jackets and removed the skins after they had cooled, as advised by the Cooks Illustrated recipe for classic mashed potatoes. When mashing, I just added butter and either milk or half-and-half, nothing else. I used an old-fashioned potato masher, not an electric beater or processor, because I don’t mind some texture and even lumps in my mashed potatoes. It was interesting to make these two versions of mashed potatoes back-to-back, because it helped me realize once and for all that Yukon Golds are the best potatoes for mashing. They didn’t take as long to cook as the russets. They mashed easily, and the results were fairly smooth. And they tasted better. The russets were too lumpy, even after spending a lot of time mashing and using a lot of liquid. They tasted mealier and were not as creamy as the Yukon Golds. I wasn’t nearly as happy with the results. Pretty much every basic cookbook includes a recipe for mashed potatoes, but this is one dish where it’s best to let your instincts guide you. I start with the basic recipe in Alice Waters’ The Art of Simple Food, which is similar to this one. I don’t measure the milk and butter, but just keeping adding them while mashing until the dish tastes good to me. To amp up the flavors, I have had good luck substituting buttermilk for the milk, boiling whole garlic cloves with the potatoes and then mashing them too, and using Parmesan and olive oil in place of the butter and milk. From now on, though, I will start with the right kind of potatoes: Yukon Gold. We eat pasta at least once a week. In an effort to eat more whole grains, I am searching for a whole-grain pasta that actually tastes good. My problem with these pastas is that they are too grainy or coarse. The only success I have had is with a pasta made from spelt. Anyone have brand suggestions or cooking tips? They are trading their good-for-you rigor for warm, nutty flavor. One thing I’ve discovered is that it’s usually a mistake to buy fresh food, like produce or dairy, in large quantities, even if it is on sale. I’d rather make one more trip to the store each week than throw out food we didn’t get around to eating. We are a small family, so instead of buying an entire bag of potatoes or apples, for instance, I’ve found it’s better to buy just what I think we’ll eat in the next few days. I used to buy a week’s worth of fruit at a time, but there was inevitable spoilage. Now I only buy two or three pieces of each kind of fruit that we want and make sure we eat them. The caveat to this is that it’s sometimes better to buy in bulk, but only if I have a plan for the food. For example, if something is on sale, like chicken or broccoli, I will stock up and freeze the excess immediately after I get home. I will also buy a large number of cheap apples, if I know I’m going to get around to making applesauce that day. This brings me to my next tip. We eat more food if I prepare it for eating soon after bringing it home from the store, rather than waiting for when we want to eat it. For instance, I tear and wash fresh lettuce right after I get home, so I’m always ready to make a salad for lunch or dinner; if I have room in the fridge, I’ll store the lettuce in my salad spinner. Or I’ll peel and grate a large quantity of carrots for snacking, salads and sandwiches right away. Food that I don’t want to prepare right away, I divvy up for meals and freeze any excess. 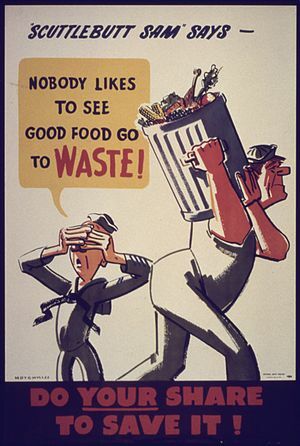 What tips are you using to keep from wasting fresh food? Well, it’s clear that I haven’t had a chance to post much here recently, and I haven’t been doing many cooking challenges lately either. Sometimes life gets too hectic. With that in mind, I am returning my focus to simple recipes, and I will post a bunch of them here. By simple recipes, I mean recipes that have only a handful of ingredients, no more than five total, including salt, pepper and oil. Or quick but complete dinners that you can put together in one pan. These are the kinds of recipes that you will memorize after making them two or three times, so that you can easily whip one up on a weeknight even if you’re dead tired, or you can pull out when you’re not sure what to make with that ingredient you picked up on sale. These recipes are great to add to your repertoire, but the problem is that they can become boring after a while. That’s why it’s a good idea to have a ready-made arsenal to add pizzazz to any recipe. You can vary the flavors depending on your mood and what you have available. Garnish it with fresh herbs after cooking. Sprinkle in a little citrus juice or vinegar at the end of cooking. Add minced chiles or red pepper flakes for heat. Substitute heavy cream, sour cream, plain yogurt or melted butter for some of the oil. Sprinkle with grated Parmesan or other cheese or with crumbled bacon (you can substitute bacon grease for some of the oil as well). Mix in slow-roasted tomatoes, roasted red peppers, pesto or other ready-made ingredients from the pantry. Substitute or add similar vegetables. As I post some of my favorite tried-and-true simple recipes, I’ll provide examples of these flavor boosters. But never be afraid to experiment. Cooking is more fun that way! 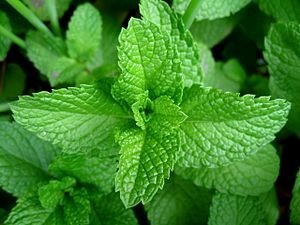 Mint is one of those herbs that can take over the herb garden, if you’re not careful. (Lemon balm is another, which I learned the hard way.) I usually plant mint in a place without a lot of grass and let it run rampant as a kind of ground cover. That means there’s always plenty of fresh mint on hand when I need it. On Quora, someone asked a question about how to use an abundance of mint leaves. Here are my suggestions. Add mint leaves to your iced tea when brewing it. My favorite iced tea is 3 green tea teabags, a handful of mint leaves and a spoonful of honey. Let brew 10 minutes, then pour over ice. The mojito is one of the best summer cocktails. Muddle (gently crush) mint leaves with sugar and lime juice. Add 1-1/2 ounces white rum and stir. Top with ice and sparkling water. Variations on this theme abound. Mint pesto: You may want to temper the mint flavor by combining it with another herb, such as basil or parsley. I think mint pesto tastes particularly good with almonds substituted for the pine nuts. Puree: 2 cups herbs (maybe 1-1/2 cups mint and 1/2 cup basil or parsley), 2 garlic cloves, 1/2 cup olive oil, 1/2 cup grated Parmesan and 2 tablespoons toasted almonds. Use as a pasta sauce, spread for crackers (good with goat cheese) or to flavor soups. Mint goes particularly well with cucumbers and watermelon. Classic cucumber raita is plain yogurt combined with diced cucumber, chopped mint, lemon juice, salt and pepper. For a refreshing fruit salad, muddle mint with sugar, then toss with watermelon balls. Or combine watermelon with tomatoes and crumbled feta; drizzle with a vinaigrette made from olive oil, lime juice and minced mint. A simple recipe but subtly delicious: gently boil new potatoes with mint leaves in the water.